A pack of training activities on health and safety for science departments in secondary schools and colleges, and for initial teacher training, induction, etc. in a helpful and easy to use book and CD-ROM format. The aim of this resource is to train science department staff to carry out practical science activities with the risks suitably controlled. This includes carrying out some of the more memorable teacher demonstrations – the aim is not to stop exciting science, but to promote it! 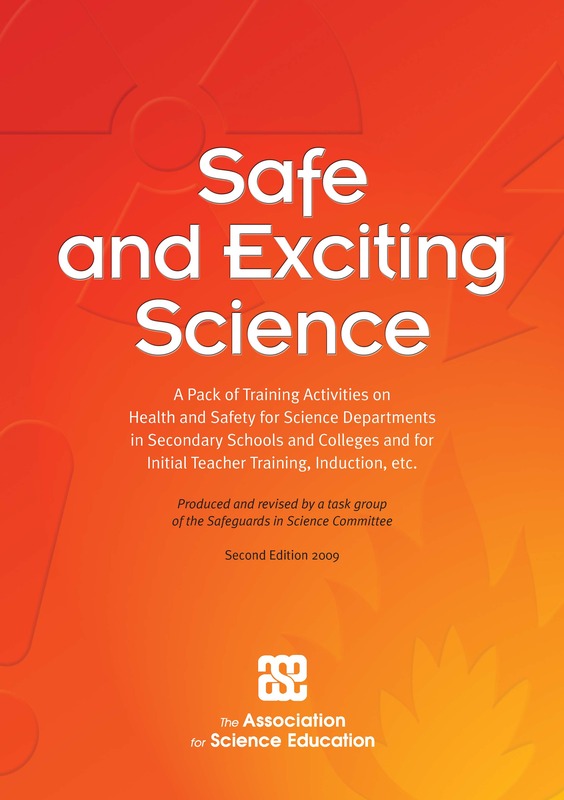 The pack contains nine units of training activities on health and safety for science departments in secondary schools, colleges and for teacher education. The activities are intended for technicians and teaching assistants as well as teachers. Featured activities include true/false quizzes, role play, discussions and suggestions for hands-on training. The CD-ROM contains supporting resources in Word, and PDF documents plus PowerPoint slides to help you deliver training activities. The pack is intended as a resource into which schools can dip to provide ongoing training over a period of time – some units are also appropriate for stand-alone use.